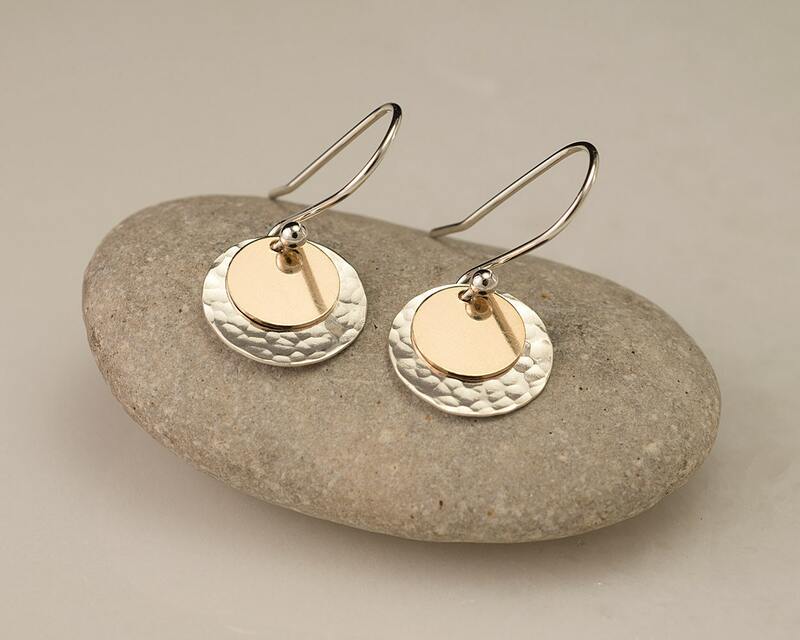 These sterling silver and gold filled disc earrings are sure to be your new everyday earrings. 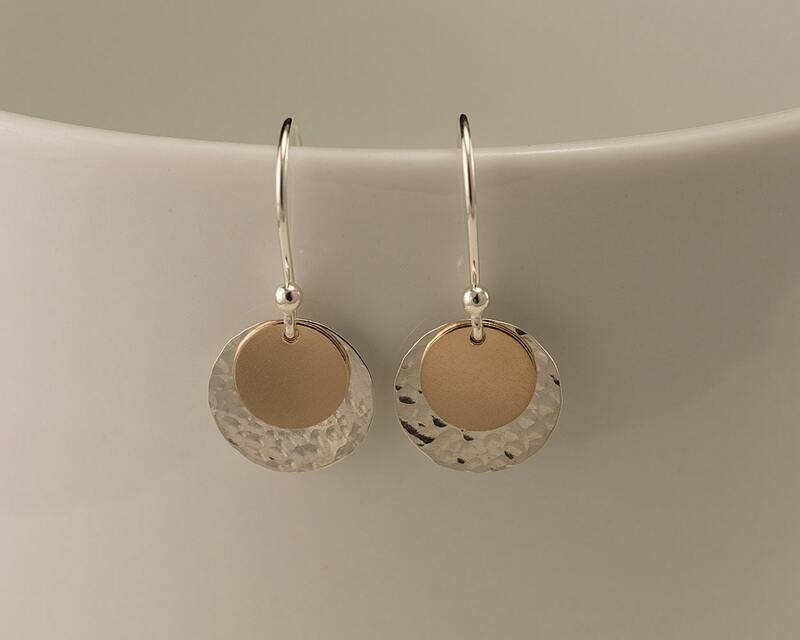 The hammered silver texture on the disc shimmers and reflects the light beautifully. 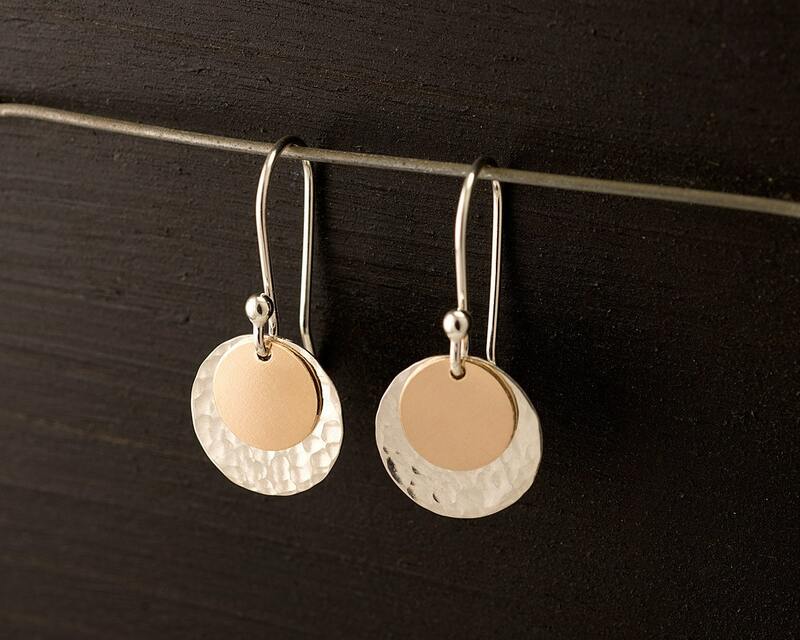 These lightweight earrings go with everything! Simple. Modern. Minimalist. 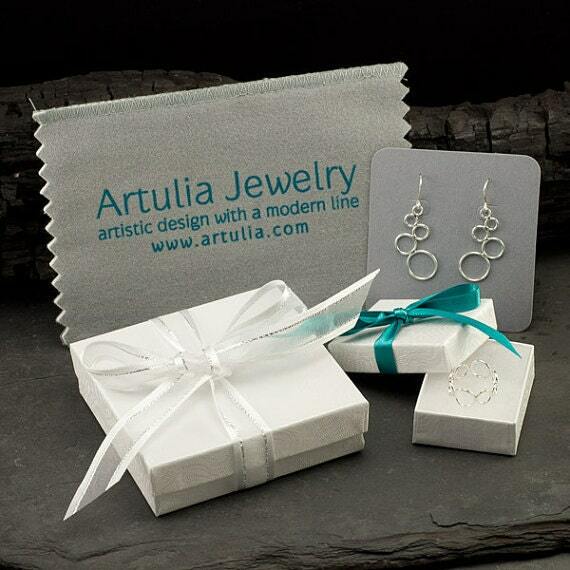 Earwires are made from 20 gauge argentium sterling silver wire. Earrings dangle approximately 1". Discs are 1/2" (13mm) wide. Beautiful! It was packaged nicely for gift giving. Beautiful earrings. My daughter loves them! Fast shipping & nice packaging. Very nice - a great mix of metals.